Join the New Jersey Credit Union Foundation for its fun-filled fundraiser, Casino Night! The event will take place Thursday, May 2nd, 2019 at the Renaissance Woodbridge Hotel from 6 p.m. to 10 p.m. The night will consist of a Texas Hold ‘Em Tournament (pre-registration required) and will feature Craps, Roulette and Black Jack tables. The event will begin at 6:00 p.m. with a buffet and open bar. Gaming will begin promptly at 6:30 p.m. and run until 9:30 p.m. Winners will be announced between 9:30 p.m. and 10:00 p.m. There is also a 50/50 raffle! Be sure to purchase tickets ($5 each) from Foundation board members prior to and at the event. You don't have to be present to win! 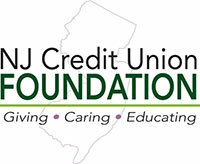 Supporting the New Jersey Credit Union Foundation through its Casino Night ensures that your funds will be used toward its charitable giving and in-house programs, like Reality Fairs. We look forward to your participation and support!